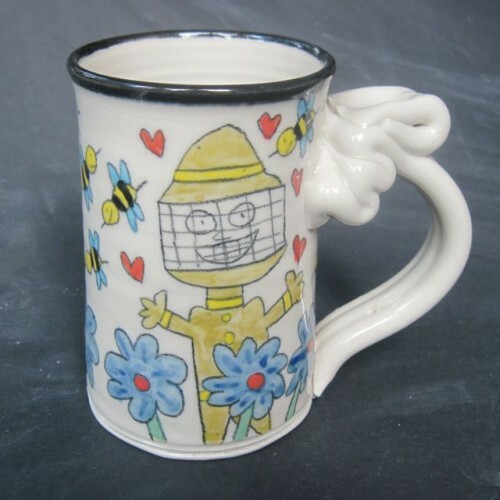 ← Nuclear Fusion, Evil Robots and Morning Coffee. 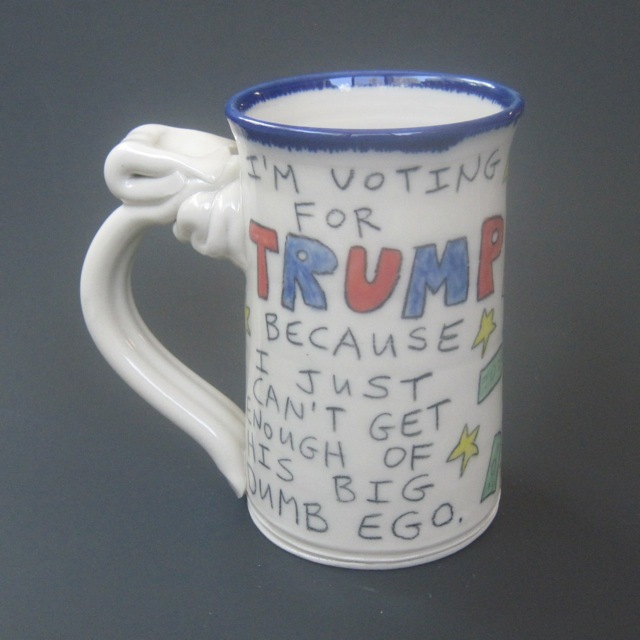 So how about that Donald Trump? 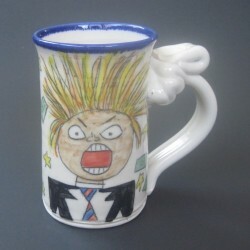 With all of his wonderfully bizarre soundbites these days I couldn’t resist doing a mug about him. When I learned that he and Bernie Sanders were both in solid second place in their respective polls, I came up with the idea of creating a couple of mugs for all the delusional and terminally idealistic folk out there who think that either of these cartoonish characters have a chance of being our next president in 2016. So I present to you the “I’m Voting for Trump” and “I’m voting for Bernie” mugs. 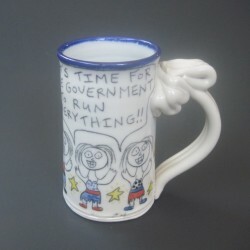 I suggest you order these for your politically challenged friends and I’ll ship them out in a discreet brown box with no mention whatsoever that you had me send it to them. 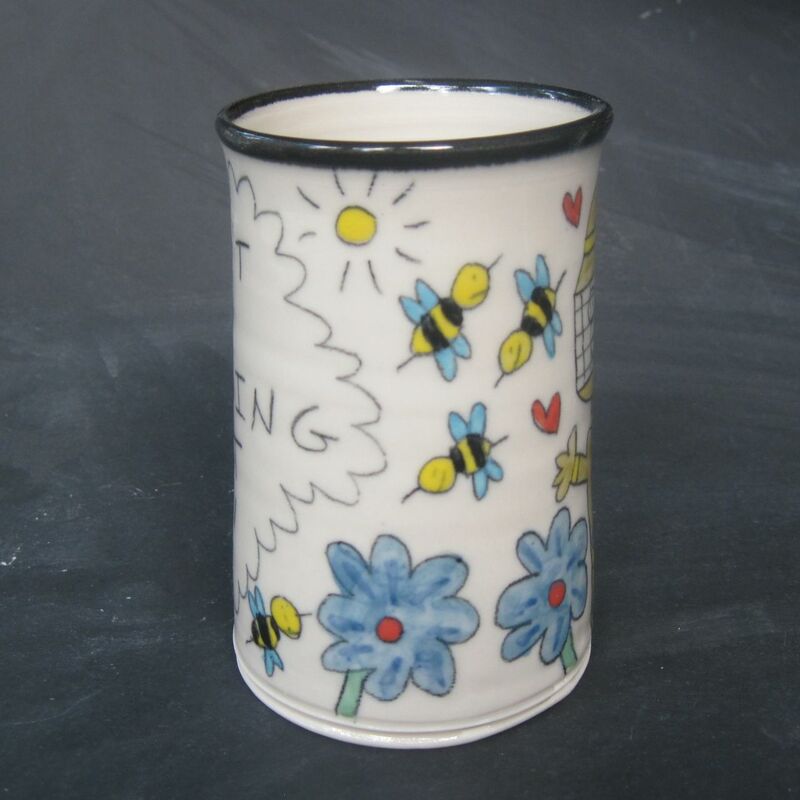 And here’s a mug I came up with last month that’s getting a great response from bee fans everywhere. 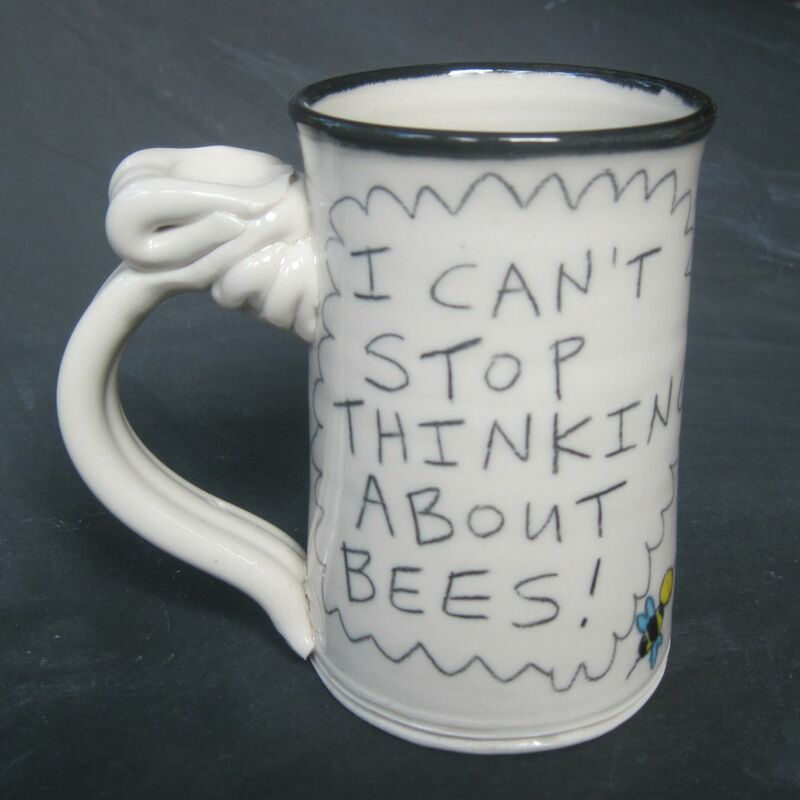 “I CAN’T STOP THINKING ABOUT BEES” isn’t a joke as much as it’s a sentiment. 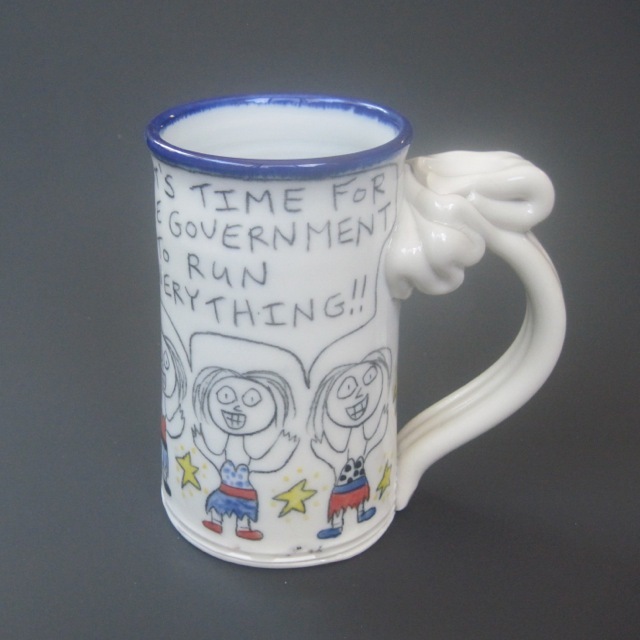 You can find it in the “New Items for 2015” section of my online store. 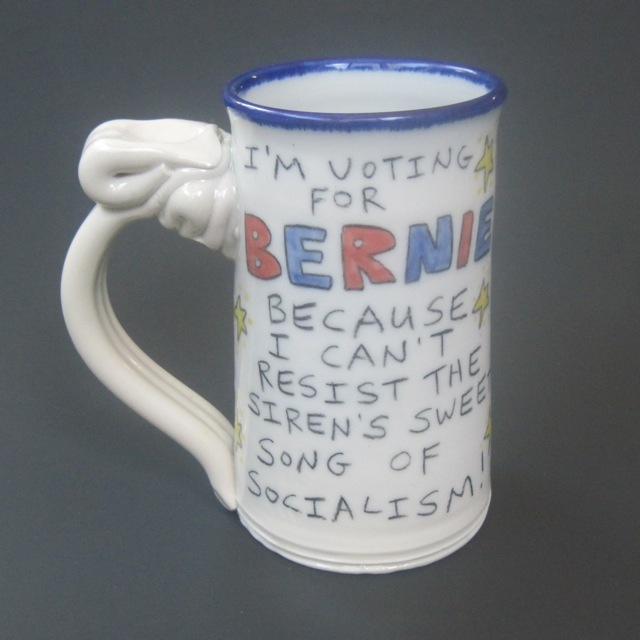 This entry was posted in New items and tagged bernie sanders mug, donald trump mug, I can't stop thinking about bees. Bookmark the permalink.